An active outdoor vacation in Mongolia lets you get away from the modern world and explore a lifestyle long forgotten almost everywhere else on the planet. This sprawling "Land of the Blue Sky" extends between Russia and China, with a vast steppe populated by a just few hardy nomadic tribes. 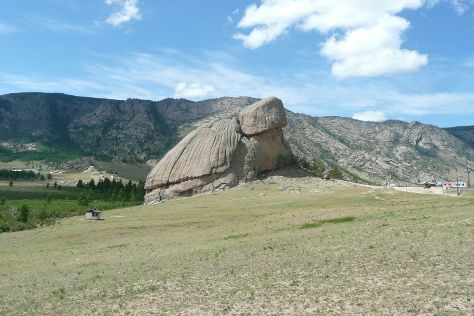 Remote and isolated for most of the 20th century, Mongolia now represents one of the world's burgeoning travel destinations, appealing to hikers, campers, and nature lovers of all ages. Used to the nomadic life, locals easily bond with foreign visitors and proudly gush about their country's awe-inspiring landscapes of steppes, mountains, and lakes, all with a wealth of wildlife and exotic plants. Mongolia is in Asia. Our Mongolia trip planner allows you to plan your trip to Mongolia and a wealth of other destinations big and small.